So after much trepidation and some reassuring help from this lady, Bub tried painting for the first time. It was a hit and I only stressed out a little. 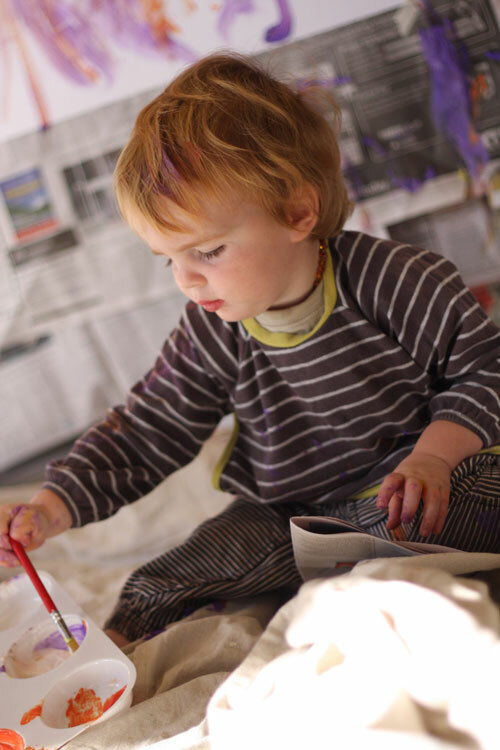 I have been meaning to break out the paints for a long time but am always nervous about mess and cheeky babies painting things they shouldn’t, but spurred on by a new book design brief for early childhood learning I decided to do a photo shoot of my own child and his early learning for some of the concepts (not showing his face though).